Prior to founding Argyris Mah, LLP with her law partner, Andrea Mah (formerly Andrea Hill) worked as a Senior Associate with a San Jose based law firm for five and a half years. During that time, Andrea represented clients in all areas of family law, including divorce, legal separation, annulment, custody and visitation, support, complex property division, and domestic violence. Andrea had the opportunity to complete several trials, as well as advocate for clients throughout the course of their cases at various hearings. Andrea is a zealous advocate, but is also committed to working with all involved parties to foster settlements and prevent the need for litigation. Andrea graduated in the top third of her class at the University of San Francisco School of Law in 2008. Prior to earning her J.D., Andrea received a B.A. in Psychology at the University of California at Santa Barbara. 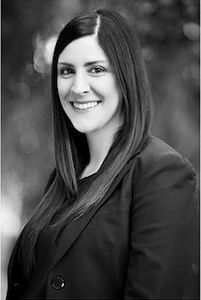 During law school, Andrea interned for the San Mateo County District Attorney’s office, where she was able to hone her litigation skills by appearing in court several times per week in order to argue motions and preliminary hearings. In addition, Andrea participated in USF’s Child Advocacy Clinic. She represented children who had been abused, neglected or abandoned by their parents. Despite the emotional difficulty in this, she learned how to work with both the children and their parents to ensure that the children were safe and assisted with family reunification. It was through that experience that Andrea realized her passion for advocating for those who otherwise would not have had a voice. Andrea grew up in Santa Clara County and has been living in South County for the last 10 years. In her spare time, she enjoys spending time with her husband and children, reading and traveling.